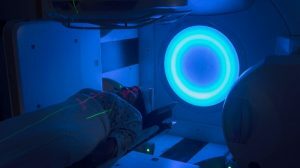 Deciding whether regional nodal irradiation (RNI) works depends upon not only accurate risk assessment but also a better understanding of the disease. Here are some key elements of breast cancer and treatment that aren’t adequately decided just by looking at pathologic stage, grade, and surgery type. The MSKCC nomogram includes multifocality in predicting additional axillary node metastasis after a positive sentinel node biopsy. Maybe we can predict lymph node metastases better using volume or surface area rather than diameter, or T stage. It is labor intensive and may not be practical, but it may be worthwhile if it becomes easier to assess tumor volume instead of diameter. In borderline cases, it may be worth the extra effort if the risk of nodal involvement will change radiation field design. Neither NCIC MA.20 nor EORTC 22922 included multifocality as a stratification factor for trial enrollment.4,5 It would be very interesting to see how this variable is linked to outcomes from these trials, as it’s not currently reported in either study. Molecular research helped identify biologically different types of breast cancer in the early 2000s, recently defined in the St Gallen consensus to guide the role of systemic therapy.6 These subtypes are now commonly defined by combinations of expression of estrogen (ER) and progesterone receptors (PR), HER2/neu, and Ki-67. The risk of lymph node involvement varies based upon these subtypes.7,8 We do know from pre-trastuzumab studies that these subtypes based upon hormone receptors and HER2/neu may have differing local failure rates in breast-preserving treatment.9 Maybe the same is true for lymph nodes. The EORTC 22922 and NCIC MA.20 trials were designed in 1996 and 1999, respectively, so they couldn’t account for differences in biologic subtypes. 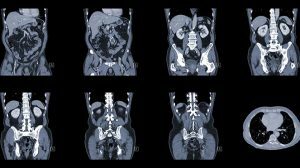 Some patients may have received suboptimal chemotherapy, and trastuzumab wasn’t available for many patients. MA.20 allowed trastuzumab but the trial doesn’t report how many participants that affected. The EORTC trial didn’t report it at all. The MA.20 data show that the 465 ER-negative patients had a 14.6% improvement in 10-year disease-free survival (76.2% vs 61.6%) and trend toward 7.6% improvement in overall survival (81.2% vs 73.9%) with RNI in a group where 91% received chemotherapy. The EORTC trial had only 20% ER-negative participants, versus 40% in MA.20, so it didn’t really report anything on receptor status. However, EORTC showed that patients receiving both hormone therapy and chemotherapy have better survival with RNI (Figure S4 for data geeks). RNI provides a 28% lower risk of dying, which appears to be a crude rate of 4.9% absolute survival benefit for presumably ER-positive patients given both types of systemic treatment. In the last post on assessing risk of lymph node involvement, I highlighted some numbers that may alarm patients. But the higher prevalence of lymph node involvement doesn’t always mean that the risk of recurrence is just as high. We’ve seen extremely low rates of regional recurrence in some studies. Some of the older data may be limited because we didn’t have as sensitive ways to monitor for recurrence and some clinical trials only record the first site of recurrence and ignore later ones. Both studies only did clinical exam and chest x-rays for routine follow-up, so some recurrences may not have been detected, especially in the internal mammary nodes. Now that we’re doing fewer axillary dissections, maybe the rates will be a little higher even in the highly selected node-positive patients in the ACOSOG Z011 trial (1.5% with SLN, 3.1% with axillary dissection at 5 years).10 But these very small risks of a lymph node recurrence not really explain how RNI can improve survival. I’ll discuss more later. 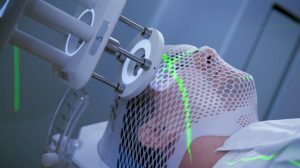 So how sure are we that chemotherapy really “clears” the lymph nodes enough to leave radiation out, particularly if clinical recurrence rates are low? NSABP B-18 showed a pathologic complete response (pCR) rate of 31% with AC chemotherapy for clinically node-negative patients.14 A recent European trial, SENTINA, showed that among 360 clinically node-negative, SLN biopsy-positive patients getting chemotherapy, 29% able to undergo repeat SLN and axillary dissection still had residual cancer.15 Patients with residual disease have a worse prognosis,16 and they may be the most likely to benefit from radiation The absence of a clinical nodal recurrence may not be the right measure of success. Why would there be a possible survival benefit to radiation when the lymph node recurrence risk isn’t that different? In doing a literature search I came up with a provocative hypothesis: because we’re mistakenly evaluating breast cancer the same way for nodes as we do for the breast. For breast cancer cells to travel to nodes, it is possible that it’s nonrandom which cells migrate, favoring those that preferentially metastasize instead of being locally aggressive. Multiple studies show nodal metastases appear more aggressive than the primary based upon ER/PR and HER2/neu status.17-20 It may even suggest a worse outcome.19 What if nodal metastatic breast cancer cells aren’t built to grown locally, but instead will spread through the body? That might explain the low regional recurrence rates but still indicate a reason to treat them. We might not see enlarged, firm nodes at all because they now have an evolutionary bias favoring travel over local growth. Maybe we should be testing nodal metastases for ER/PR and HER2/neu status when we find node-positive disease instead of just retesting the primary tumor at the time of definitive surgery. I haven’t seen breast specialists of any discipline discussing this idea when they debate RNI, but maybe we should. A lot more research is needed to make any conclusions. We need more research on who, why, and how RNI helps. What should we be measuring for effectiveness? The next post will discuss some of the issues around meaningful endpoints and the importance of how we report the results of research. This post was originally published for ASCO Connection. Kanamuri P, Hayse B, Killelea BK, et al. Characteristics of multifocal and multicentric breast cancers. Ann Surg Oncol.2015;22:2475-82. Cabioglu N, Ozmen V, Kaya H, et al. Increased lymph node positivity in multifocal and multicentric breast cancer. J Am Coll Surg. 2009;208:67-74. Andea AA, Bouwman D, Wallis T, et al. Correlation of tumor volume and surface area with lymph node status in patients with multifocal/multicentric breast carcinoma. Cancer. 2004;100:20-7. Whelan TJ, Olivotto IA, Parulekar WR, et al. Regional nodal irradiation in early-stage breast cancer. New Engl J Med. 2015;373:307-16. Goldhirsch A, Wood WC, Coates AS, Gelber RD, Thurlimann B, Senn HJ: Strategies for subtypes–dealing with the diversity of breast cancer: highlights of the St. Gallen International Expert Consensus on the Primary Therapy of Early Breast Cancer 2011. Ann Oncol. 2011;22:1736–47. Mattes MD, Bhatia JK, Metzger D, et al. 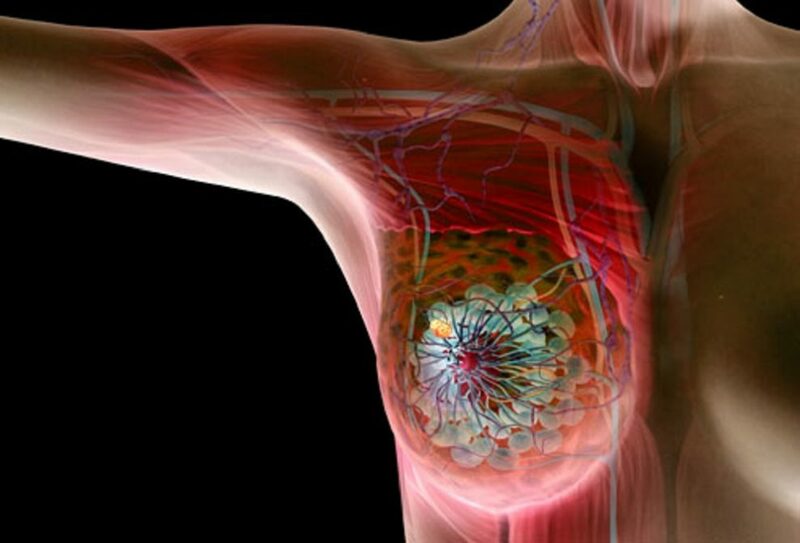 Breast cancer subtype as a predictor of lymph node metastasis according to the SEER registry. J Breast Cancer. 2015;18:143-8. Ugras S, Stempel M, Patil S, et al. Estrogen receptor, progesterone receptor, and HER2 status predict lymphovascular invasion and lymph node involvement. Ann Surg Oncol. 2014;21:3780-6. Nguyen PL, Taghian AG, Katz MS, et al. Breast cancer subtype approximated by estrogen receptor, progesterone receptor, and HER-2 is associated with local and distant recurrence after breast-conserving therapy. J Clin Oncol. 2008;26:2373-8. Giuliano AE, Hunt KK, Ballman KV, et al. Axillary dissection vs no axillary dissection in women with invasive breast cancer and sentinel node metastasis. JAMA. 2011;305:569-75. Mamounas EP, Tang G, Liu Q. The importance of systemic therapy in minimizing local recurrence after breast-conserving surgery: the NSABP experience. J Surg Oncol. 2014;110:45-50.
de Boer M, van Dijck JA, Bult P, et al. Breast cancer prognosis and occult lymph node metastases, isolated tumor cells and micrometastases. J Natl Cancer Inst. 2010;102:410-25. Weaver DL, Ashikaga T, Krag DN, et al. Effect of occult metastases on survival in node-negative breast cancer. New Engl J Med. 2011;364:412-21. Fisher B, Brown A, Mamounas E, et al. Effect of preoperative chemotherapy on local-regional disease in women with operable breast cancer: findings from National Surgical Adjuvant Breast and Bowel Project B-18. J Clin Oncol. 1997;15:2483-93. Kuehn T, Bauerfeind I, Fehm T, et al. Sentinel-lymph node biopsy in patients with breast cancer before and after neoadjuvant chemotherapy (SENTINA): a prospective, multicentre cohort study. Lancet Oncol. 2013;14:609-18. Mougalian SS, Hernandez S, Lei X, et al. Ten-year outcomes of patients with breast cancer with cytologically confirmed axillary lymph node metastases and pathologic complete response after primary systemic chemotherapy. JAMA Oncol. 2015; in press. Falck AK Fernö M, Bendahl PO, et al. St Gallen molecular subtypes in primary breast cancer and matched lymph node metastases – aspects on distribution and prognosis for patients with luminal A tumors: results from a prospective randomised trial. BMC Cancer. 2013;13:558. Jabbour MN, Massad CY, Boulos FI. Variability in hormone and growth factor receptor expression in primary versus recurrent, metastatic and post-neoadjuvant breast carcinoma. Breast Cancer Res Treat. 2012;135:29-37. Ba JL, Liu CG, Jin F. Alterations in hormonal receptor expression and HER2 status between primary breast tumors and paired nodal metastases: discordance rates and prognosis. Asian Pac J Cancer Prev. 2014;15:9233-9. Aitken SJ, Thomas JS, Langdon SP, et al. Quantitative analysis of changes in ER, PR, and HER2 expression in primary breast cancer and paired nodal metastases. Ann Oncol. 2010;21:1254-61. Pierce LJ, Strawderman M, Narod SA, et al. Effect of radiotherapy after breast-conserving treatment in women with breast cancer and germline BRCA 1/2 mutations. J Clin Oncol. 2000;18:3360-9. Kirova YM, Savignoni A, Sigal-Zafrani B, et al. Is the breast-conserving treatment with radiotherapy appropriate for BRCA 1/2 mutation carriers? Long-term results and review of the literature. Breast Cancer Res Treat. 2010;120:119-26. Langlands FE, Horgan K, Dodwell DD, et al. Breast cancer subtypes: response to radiotherapy and potential radiosensitization. Br J Radiol. 2013;86:20120601. Braunstein LZ, Taghian AG. Molecular phenotype, multigene assays, and the locoregional management of breast cancer. Semin Radiat Oncol. 2016;26:9-16.